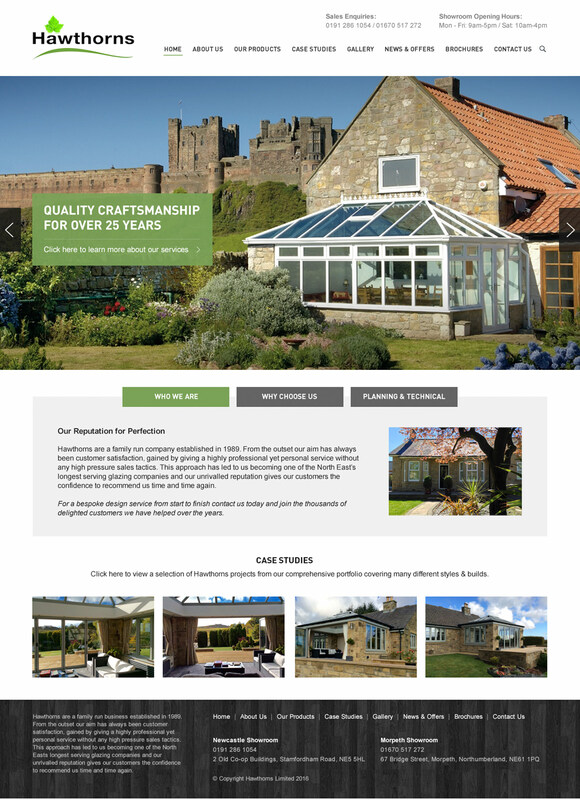 Hawthorns are a family-run North East based glazing business, providing windows, doors, conservatories, orangeries and sun rooms. Hawthorns have some wonderful imagery of work they have undertaken but they felt that their previous website was not showing off their offering as well as it could be. We re-designed their website, with a focus on imagery, as well as being easy to navigate and informative about their product offering.